South African cleric and anti-apartheid icon Desmond Tutu was discharged from hospital on Wednesday after a successful surgery to treat recurring infections that have afflicted him for more than a year, his family said on Wednesday. The 84-year-old Nobel Peace Prize winner has struggled with ill health in recent years, but his family has not said whether his current ailment is related to the prostate cancer Tutu has battled with for nearly two decades. 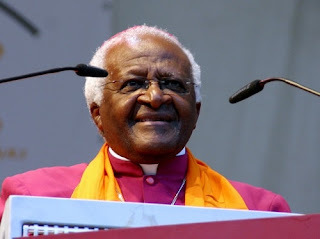 Advertisement“Archbishop Emeritus Desmond Tutu was this morning discharged from the Cape Town hospital where he has spent the past three weeks,” the brief family statement said. Tutu, the former Anglican archbishop of Cape Town, spoke against white-minority rule from his pulpit, earning him global acclaim. I wish him well and I hope he is at Peace with God.